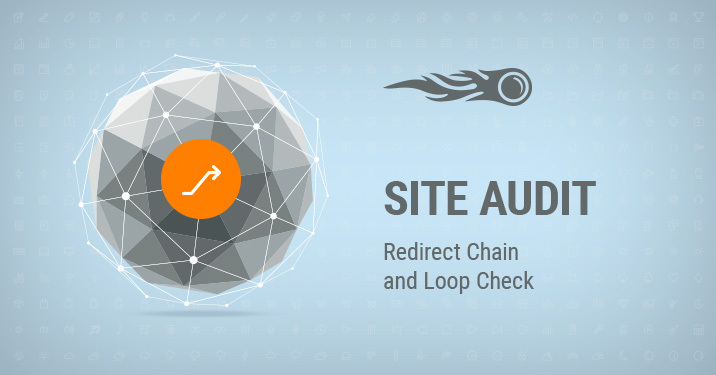 We are excited to update the Site Audit tool with a new handy check — we will now warn you if we find a redirect chain or loop on your website and advise you on how to fix it. Why are redirect chains and loops bad for your website? These issues affect both the usability and crawlability of your website, damaging your SEO efforts. How to check if your website has redirect issues? To access this check, be sure you have a project set up in the Site Audit tool. Go to the 'Issues' tab and select ‘Redirect chains and loops’ check if it’s triggered. We will identify the redirect chain’s length and provide you with a list of URLs it contains. Once the pages with redirect issues are detected, you can fix them — we recommend that you don’t use more than three redirects in a chain and remove redirect loops. 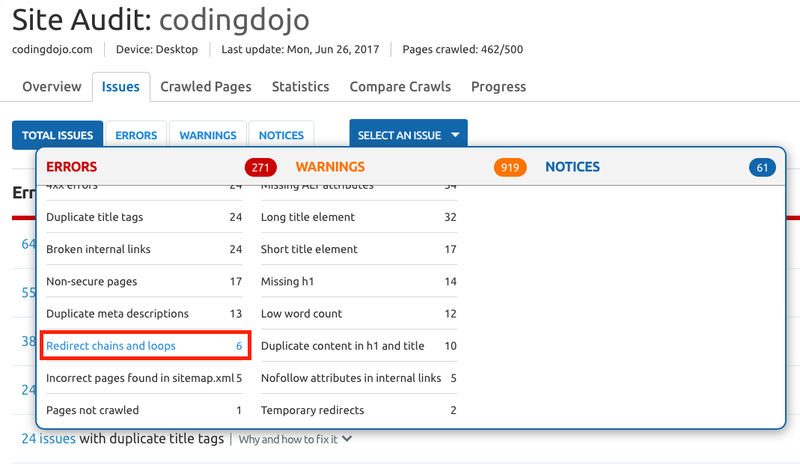 Learn 18 reasons why your website may be crawler-unfriendly. And don’t forget to check your website for other crawlability issues with Site Audit! What do you think about this update? Share your thoughts with us at [email protected], and stay tuned, as more updates are coming!